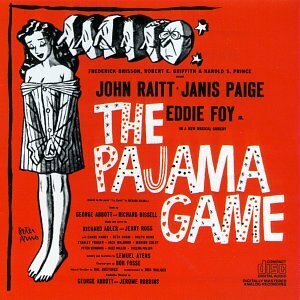 The Pajama Game is a musical based on the novel 7½ Cents by Richard Bissell. It features a score by Richard Adler and Jerry Ross. The story deals with labor troubles in a pajama factory, where worker demands for a seven-and-a-half cents raise are going unheeded. In the midst of this ordeal, love blossoms between Babe, the grievance committee head, and Sid, the new factory superintendent.